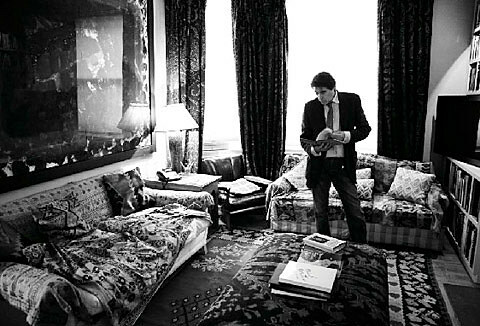 The velvety voice of Roxy Music and solo artist Bryan Ferry CBE (I think dude deserves a “Sir”) recently released his thirteenth solo album Olympia. Featuring Kate Moss on the cover, the LP spans twelve tracks including “You Can Dance” which was given a video treatment and was performed on Letterman earlier this year (videos are below). Ferry will tour the world to celebrate. His upcoming live dates include Israel, Russia, Europe, and the United States for the first time since 2002! Some might remember when Ferry played Beacon Theatre back in 2002. Some might remember his shows at the NYC venue in 1994. Bryan will return to NYC’s Beacon Theatre on October 6th as part of a TBA fall tour that also includes Wellmont Theater in NJ on October 4th. Tickets for the NJ show go on sale Friday. Tickets for the NYC show go on sale at 10AM on Thursday (6/16) with a presale code of “HEAVALON”.